Water adventures like snorkeling, scuba diving, watching sea life from a Glass Bottom boat, paddle boating, kayaking, riding wave runners or riding on banana boats provide inspired fun. With timeshares at the Ocean at Taino Beach in Freeport, Bahamas, you will also love land-based adventures like bird watching, horseback riding, golf, and nature tours to see gorgeous island birds. You'll feel so relaxed walking along white powder sand beaches and enjoying spectacular sunsets. If you want a romantic adventure, try a sunset cruise. Everyone will find something to love in this Bahamas getaway. The Ocean at Taino Beach features one of the best swimming pools in the area complete with a 100 foot water slide, a pool side Grotto bar, caves, waterfalls and a lazy river. 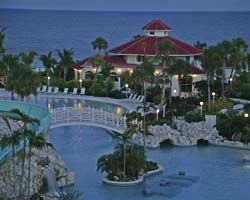 These Bahamas resales offer you getaways that are as action-packed or as relaxing as you'd like them to be. Enjoy an excellent dinner and an evening bonfire to end a perfect day, as Freeport timeshares for sale offer an exceptional blend of pampering and fun. In your choice of efficiency or studio units through to three bedroom units, everyone will appreciate having TV and free Wi-Fi to stay in touch with events back home. Laundry, barbecue grills, children's playground, ice machines, and games like shuffleboard, volleyball, tennis, ping-pong and pool games are also available. Organized activities like bingo, board games, arts and crafts, bonfires and a welcome party are all enjoyable. Casino gaming is also nearby. 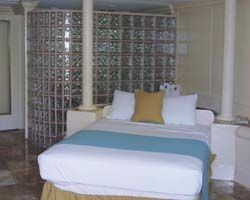 You are sure to agree that deciding to buy one of these Freeport timeshares for sale was a smart move. The truly adventurous will love the Dolphin Experience, deep-sea fishing, snorkeling, kayaking, paddle boating and taking the ferry to see sights like Russell Town, Smith's Point, Pinder's Point and William's Town. Nature lovers have three national parks to view many of the island's native birds, along with spectacular beaches on the southern side of Grand Bahama Island. These Bahamas resales offer a lifetime of spectacular island adventures, so when you return to the Ocean at Taino Beach resort, you can relax knowing there is plenty more to do tomorrow! Contact Ocean at Taino Beach, The Specialist Today!